What the Heck Is "This Funny Filipino Comedy Channel Thing"? Ryan Puno on SOLID OK and their penchant for piquing Pinoy humor. (SPOT.ph) You may have heard of Jason Magbanua, but what about Gerson Magbanua? SOLID OK is a new comedy channel that’s been releasing short online videos or “sketches” centered on Philippine humor since they launched their Facebook page on September 30. The page now has eight video clips, all of which have gone viral. One of their most shared sketches, entitled “Aksyon SDE,” parodies the recent trend of documenting weddings through same-day-edit videos—even if it means paying high-priced videographers like Jason Magbanua. It has the works: A popular love song as background music, the exchange of vows as voiceover, zoom-in shots of the couple's wedding clothes, and even that tingin-sa-malayo pose. But instead of the acclaimed wedding filmmaker, SOLID OK has the fictional Gerson Magbanua. As of writing, “Aksyon SDE” has almost 400,000 views and more than 4,000 shares. It may not be as big as Jollibee’s hugot-inspiring ads, as extravagant as McDonald’s holiday tearjerkers, or as viral as “Ganda Ka” (or at least, not yet), but SOLID OK tries its best to make people laugh. And it does so successfully just months after its first clip. "I love the expression 'Sobrang K lang!' [among Filipinos.] It makes me laugh every time and I just wanted to capture that spirit in English because I'd love for SOLID OK to appeal to non-Filipinos," the comedian starts about the channel's name. According to him, the expression "is so clearly defined in the middle. No overpromise. No extravagance." 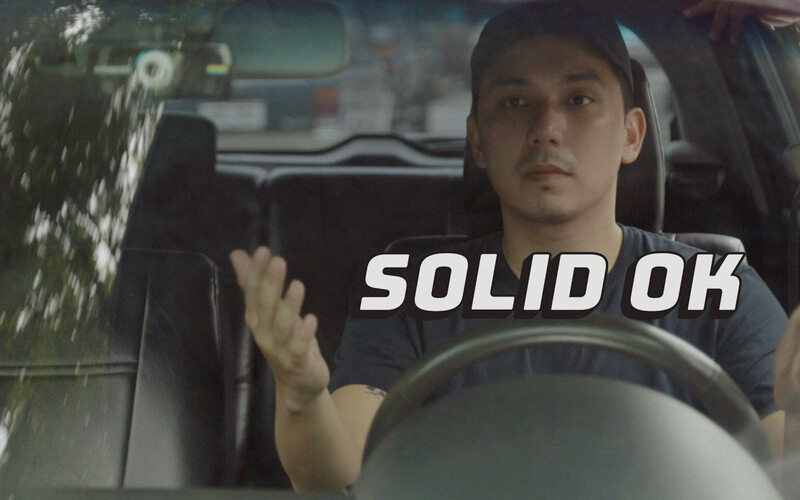 Since its launch, SOLID OK has been releasing one sketch every Wednesday. Their first release, “Breakup Muna,” gives audiences a little bit of love, tension, comedy, and subtle social commentary about breaking up and confronting the truth. It starts with a girl trying to break up with her boyfriend in a Japanese restaurant, only to be repeatedly interrupted by the waiters whenever they shout "Irasshaimase." The noise continues to drown out her voice—until the sketch ends with a punchline. It’s a great introduction to the voice of SOLID OK, which is short and straight to the point but always relatable through local references and global relevance. With the positive reception online, Puno admits, “I love it when people encourage us to keep going… we carefully crafted [our persona], so to see people latch on to it and not want to let go gives us all the feels.” The video earned 500,000 views, inspiring Puno’s team to do more. “Everyone brings about 10 to sometimes 25 ideas to the table. From there, Red [the head writer] and I sort through the ones with potential. After that, it’s writing time! It’s on the writer to flesh out the script. By the end of the day, we’ll do table-read. That’s where we assign each other characters to play and read the scripts to the best of our acting abilities. After each sketch, we brainstorm and I give notes for the next draft. Then we just repeat the process over and over until a sketch is marked ready,” he shares. It is easy to add, but difficult to subtract. 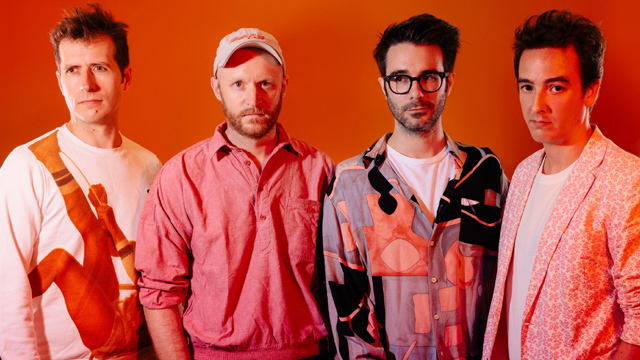 With sketches ranging from 30 seconds to their longest one at almost five minutes, SOLID OK has so far managed its viral nature by knowing when and how to keep audiences asking for more. Aside from Puno, the people behind SOLID OK include Jay Mitra (Director of Photography), Sari Estrada (Editor), Red Ollero (Head Writer), Hazel Tan (Production Manager), and Aldo Cuervo, Alexio Tabafunda, and Andren Bernardo as writers. All doubling as actors—except Mitra who is behind the camera. Puno, who has juggled a variety of roles from producer, writer, creative director, to comedian, recalls that the first step to starting SOLID OK was when he decided to work on it full time. “I quit my day job, got a semi-fancy notebook, and wrote down every single idea I had.” In March 2018, he moved from New York to Manila with his wife, designer Bea Puno (who also contributed to SOLID OK via its branding. She runs the popular shoe brand, Renegade Folk). 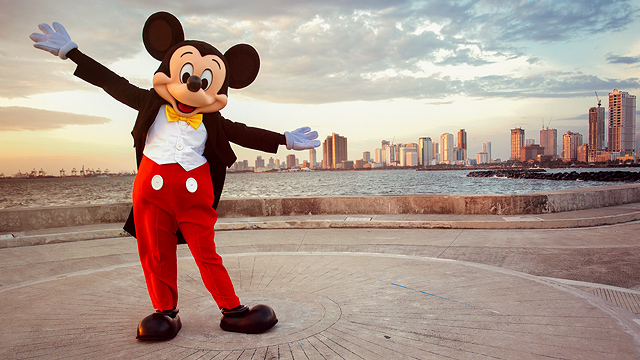 That immersion included further study in comedy writing and performing, screenwriting, and sketch production in workshops in the U.S., as well as diving deep into improv theater in one of New York’s comedy club. “The product of all that learning is SOLID OK,” he explains. 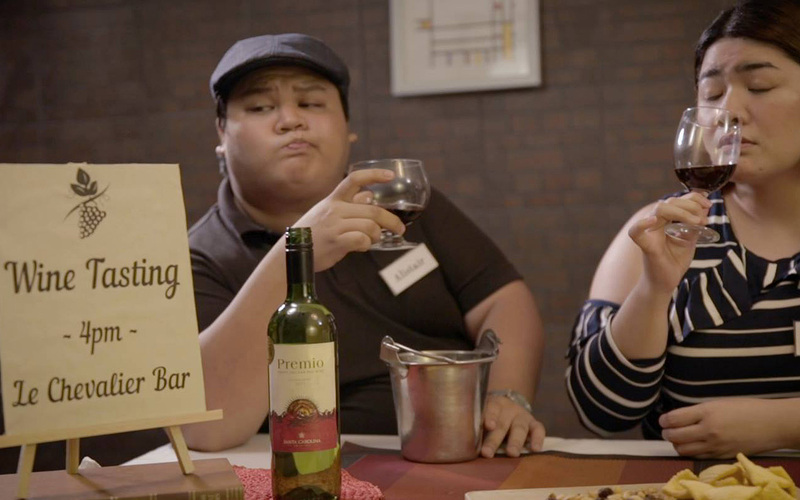 Exactly where is the Philippine comedy scene today? Puno shares, “In Manila, I feel having an element of relatability is what really hits. We still need to earn the experimental stuff with the audience.” More than the obvious subject matters of its sketches, it’s the subtleties of Filipino life—from the addition of local biscuits as props in “Aksyon SDE” to the security guard’s wooden stick in “Frisky Business”—that make it so relatable to Filipinos. SOLID OK may be hitting close to home with its content, but they are also conscious about not getting too comfortable. “Right now, we’re focusing on these quick, silly digital shorts, but we all want to challenge ourselves and do bigger things like web series, mockumentaries, events, feature films, you name it. Basta comedy, we’re all in,” quips Puno. Where will the next idea come from? Perhaps we’ll find out next Wednesday. For more information, follow SOLID OK on Facebook.